My Grandfather, who we affectionately called “Pal”, made his living as a carpenter for Arthur Brothers Construction in San Mateo, California. One of the few things I inherited from him as his hammer. Every time I hold it in my hand, it makes me smile and think back to the countless hours he spent with that hammer in his hand, over the lifetime of his career. He built everything; building, restaurants, a dollhouse for my sister, and even Jet’s doghouse, his beloved black lab. Pal’s hammer, like my camera, was the tool that allowed him to create his art. A few years ago, I began purchasing hammers at swap meets, garage sales and online, realizing that each of them has an unique story to tell. 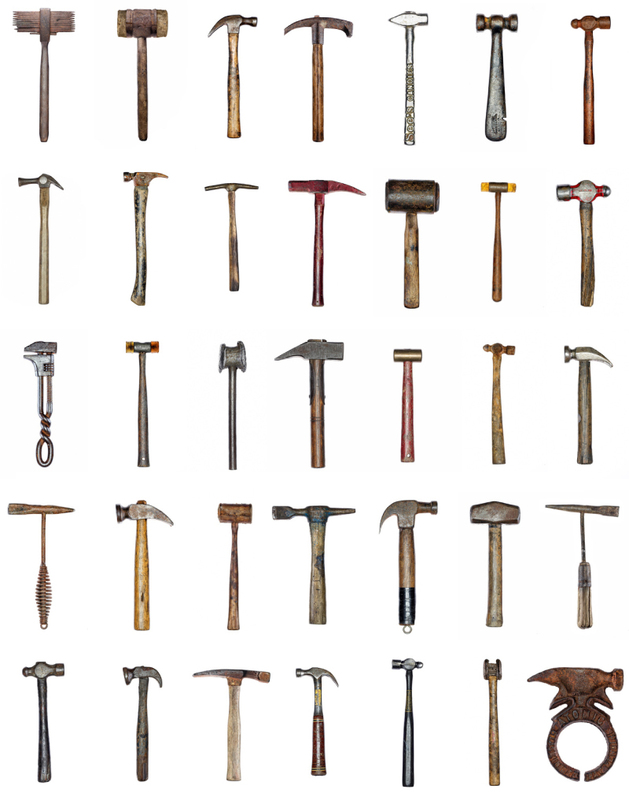 l As you view these hammers, look closely, listen to them speak, and let them tell you the story of their life. To see more of Tim Mantoani’s work go to his website and Altpick page. This entry was posted in Uncategorized and tagged tim mantoani. Bookmark the permalink.